When a tree stump is too large to extract manually and you wish to avoid the use of chemical stump killers, stump grinding is an ideal method of tree stump removal. Our London stump grinding service offers you a quick and surprisingly affordable technique for removing unsightly stumps. In a short space of time the largest stump can be reduced to mulch, for easy removal or to use around the garden. we don’t require any side gates to access a garden. – You need mulch and you have a truck of a tree you don’t want there. If the tree is healthy the waste of grinding it can be successfully used as mulch. – You have a diseased stump and you’re reasonably worried it may infect other plants and trees. The waste in this case is immediately collected. You may also need a garden clearance. 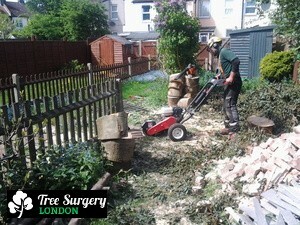 Grinding will ensure that a removed tree doesn’t grow back. This method also minimises soil disturbance around the root systems of nearby plants. This is an environmentally friendly technique of removing the below-ground trunk and reclaiming a portion of your garden. 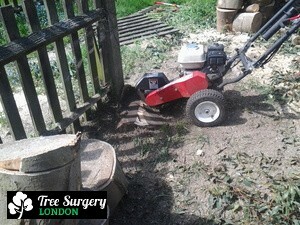 Booking your London stump grinding is quick and easy, just call us, 24/7 on 020 3404 3305. Tell our friendly office staff about the service you need and your preferred appointment time. 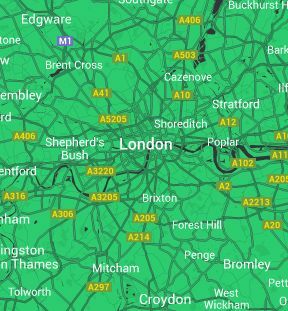 When necessary they will arrange for one of our experts to come and assess the job, and give you your free, no-obligation quote. Fill in our contact form in order to arrange a call back at a convenient time. Find out what past clients have to say about the speed and ease of this service on our customer reviews page.